Speaker Cliff Rosenberger of Clarksville plans to resign May 1. Speaker Cliff Rosenberger (R-Clarksville) announced his resignation at the Tuesday evening meeting of the House Republican caucus. He issued a statement that his actions have been ethical and lawful, but that the inquiry will likely take a long time and there are issues that lawmakers need to attend to. Speaker Pro Tem Kirk Schuring (R-Canton) said he was disappointed, but said Rosenberger put the state and the chamber ahead of himself. The news was a shock to members leaving the caucus meeting, including Andy Thompson (R-Marietta). He said he and Rosenberger were both term limited, and that he has a lot he’s hoping lawmakers will get done in the next few months. Bill Seitz (R-Cincinnati) said Rosenberger did what he believes is in the best interest of the caucus. And Seitz said the Ohio House Republican Caucus raised more money and elected more Republicans under Rosenberger than any other Speaker – so he calls his tenure a success. Faber said he hopes the decision will bring the caucus together. One member leaving the caucus said that this is – in his words – all about the Speaker’s race. House Republicans have been picking sides for the last few months over who will replace Rosenberger next year. Larry Householder (R-Glenford) held that post in the early 2000s, and left under an ethics investigation. He’s opposed by House Finance Committee chair Ryan Smith (R-Bidwell), who was supported by Rosenberger and was at the caucus. Schuring said he still doesn’t know the purpose of the inquiry, and that he has not been contacted, but he said he wasn’t sure if the House or any members had received subpoenas from federal investigators. Sources say the inquiry relates to Rosenberger’s travel, including a trip to London along with two lobbyists from the title lending industry, as the state is considering new rules for payday lenders. 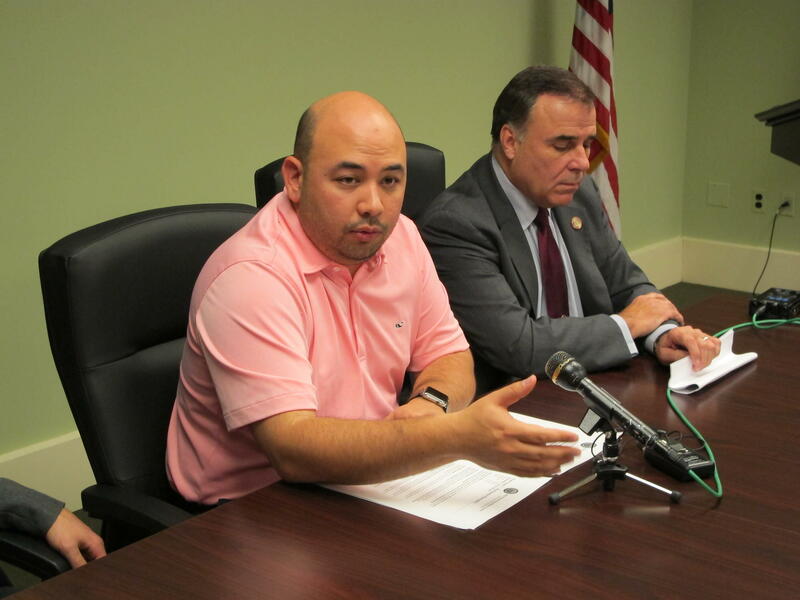 It’s unlikely Rosenberger will be back at the Statehouse publicly. Schuring will preside over session Wednesday, and the next sessions aren’t scheduled until after Rosenberger’s resignation takes effect May 1.